The Supreme Court justice will speak in an event moderated by University of Washington President Ana Mari Cauce. U.S. Supreme Court Justice Sonia Sotomayor will speak at the University of Washington on Sunday as part of a book tour to promote her two new children’s books. Sotomayor spoke at the UW in March 2014 in a conversation moderated by UW President Ana Mari Cauce. Cauce will again moderate this appearance. 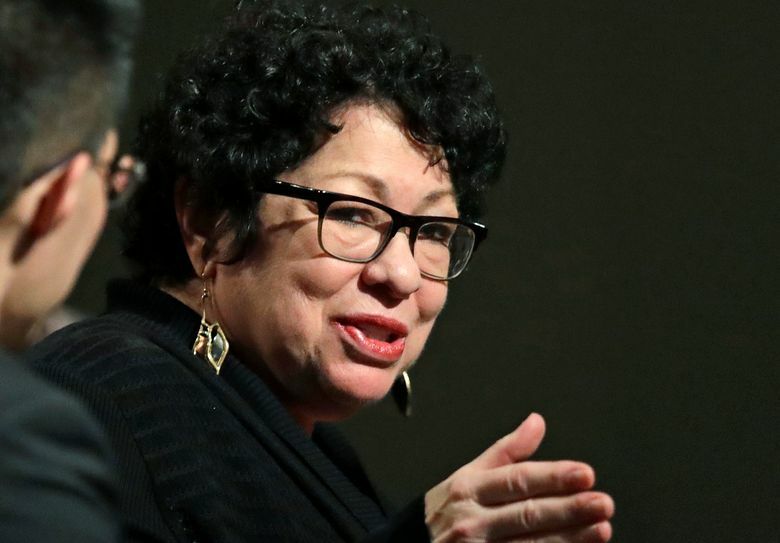 The Supreme Court justice is releasing two new books, “Turning Pages: My Life Story” and “The Beloved World of Sonia Sotomayor.” The event is sponsored by the University Book Store and the UW School of Law.